Join Sutter Creek Community Benefit Foundation on Saturday, May 12th, 2018 for a fabulous Shrimp feed. All you can eat shrimp, pasta, salad followed by a FUN dessert auction in support of the Sutter Creek Grammar School and Museum.. 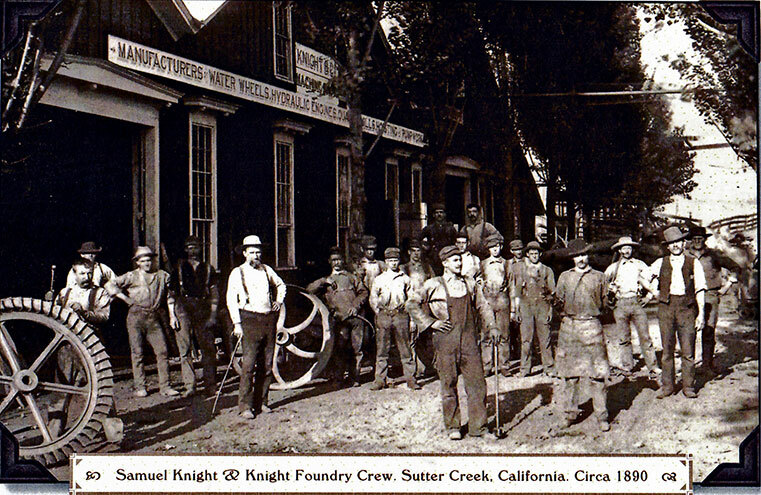 The Knight Foundry, set in the heart of Sutter Creek, is America’s last water-powered foundry and machine shop. This historic facility includes the original equipment and machinery, still in place as it was during its gold rush-era heyday. The Knight Foundry was named by the National Trust for Historic Preservation as one of America’s Eleven Most Endangered Historic Places. On #GivingTuesday, November 29th, our community came together to raise a GRAND TOTAL OF $109,322.00 for 27 local nonprofits! THANK YOU, Thank You for your generosity!